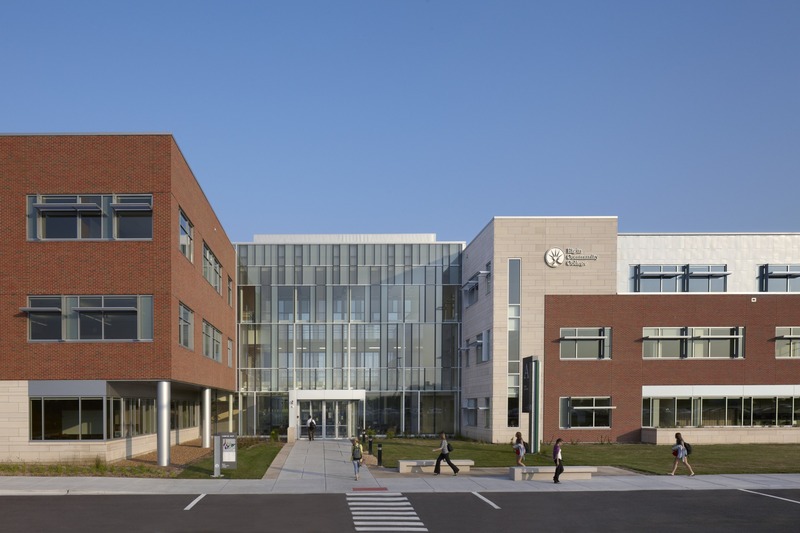 Elgin Community College achieved LEED® Silver certification from the U.S. Green Building Council for the design of its new Health and Life Sciences Building (Building A), located in Elgin, Illinois. The LEED rating system is the foremost program for the design, construction and operation of green buildings. The Health and Life Sciences Building is a 160,454-square-foot state-of-the-art educational facility that prepares future leaders in the healthcare profession with an innovative and hands-on learning environment. Completed in 2011, the project was designed by Kluber Architects and Engineers. Elgin Community College achieved LEED certification for the Health and Life Sciences Building for implementing practical and measurable strategies and solutions aimed at achieving high performance in sustainable site development, water savings, energy efficiency, materials selection and indoor environmental quality. LEED remains the world’s most prevalent green building rating system, recognizing buildings that stand at the forefront of sustainable design. “We are extremely proud of this accomplishment and honored to be contributing to Illinois’ nationally top-ranked status in LEED certified projects,” said Haldeman.